The public for the most part does not realize how important fires are to many ecosystems. The plans and animals in then have evolved with fires throughout the millennia. In Florida, for example, political pressure from householders in suburbia has made controlled burning all but impossible. As a result, certain snakes, turtles, birds and other creatures as well as plants are at risk of becoming extinct. 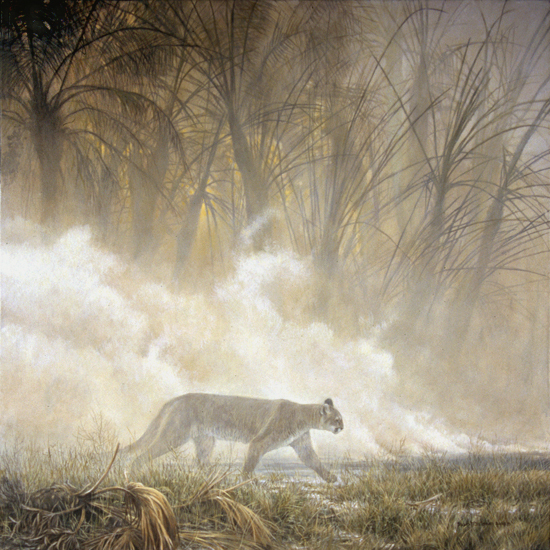 This Florida panther is patrolling the front of the burn for escaping rodents and rabbits.